Are you looking to purchase your dream house lately? That’s great but with the property prices sky-rocketing, a mortgage loan is almost inevitable today for the home buyers. A mortgage application form is the most useful here which will allow you to apply for the mortgage loan. The Application Form will contain a detailed breakdown of your financial data so that the lender can make an informed decision on whether or not to approve you the mortgage loan and on what terms. 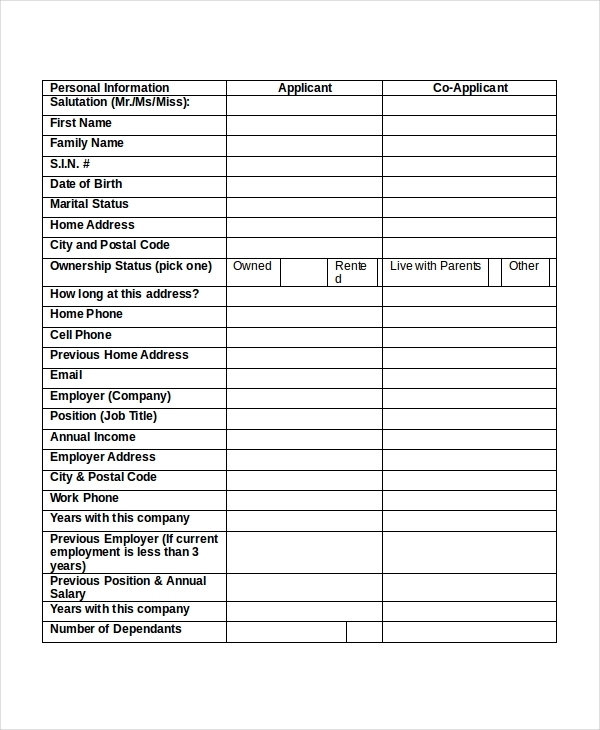 This form is used by people who would want to loan some money from a particular firm by keeping their properties or their houses in mortgage. The money is paid in the form of cash or as a credit transfer. 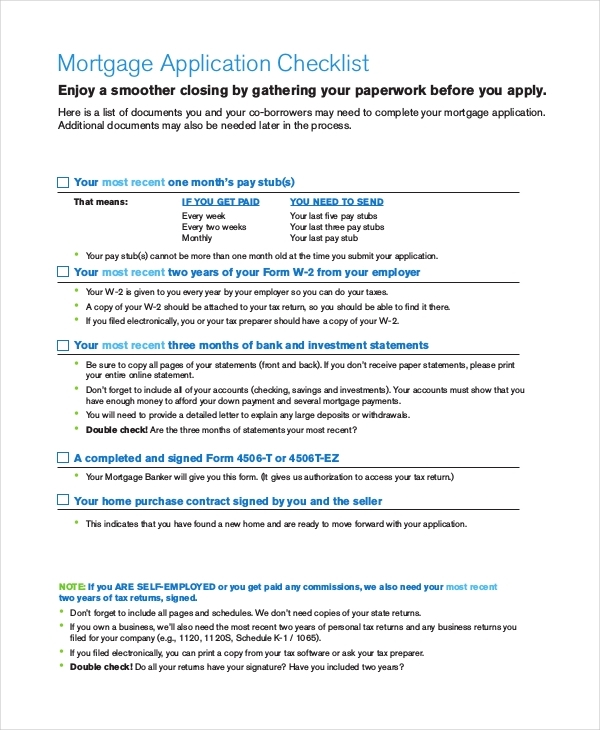 This checklist is used to tick the relevant documents that need to be submitted along the mortgage form. The checklist ensures that all the relatable documents are intact and in a usable condition. 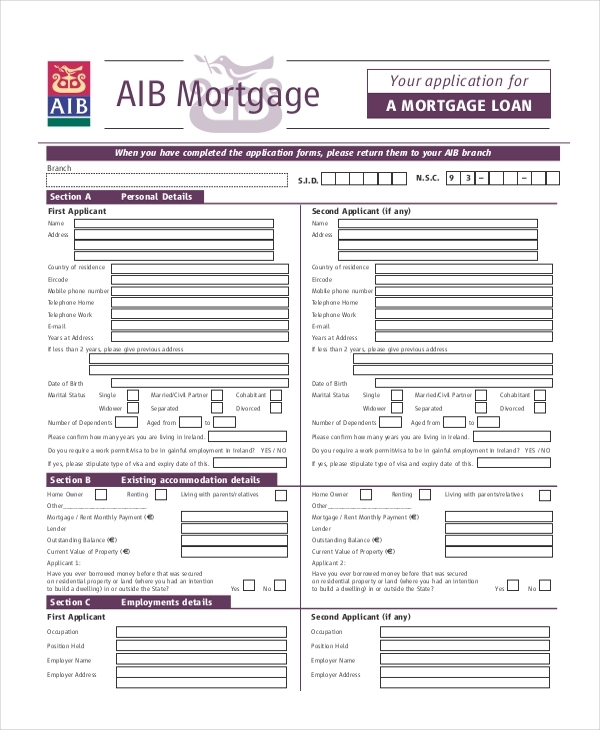 AIB Mortgage Bank issues this particular form so that people who are looking for some loan can mortgage some of their properties or a portion of them so as to obtain the money at the earliest. 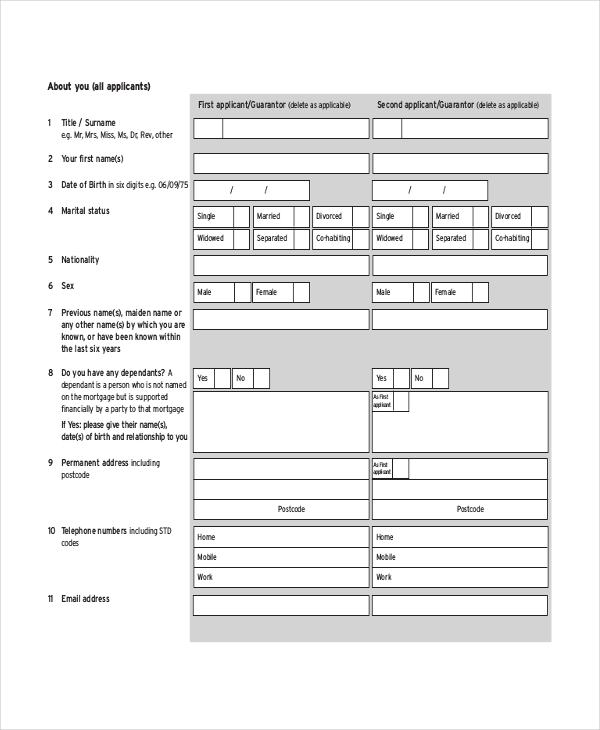 This is basically a 21 paged form which is to be used by prospective home buyers looking to buy a mortgaged item or a property which was never claimed back at the end of the tenure. 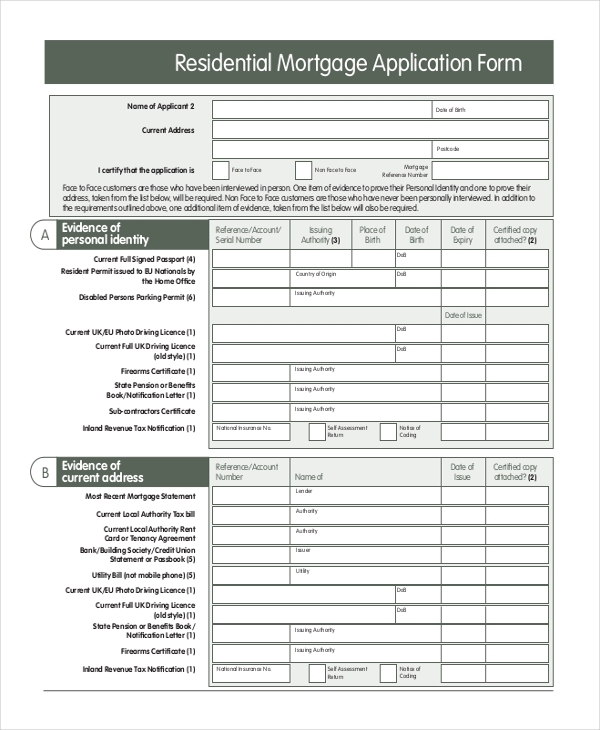 When more than one applicant apply for a mortgage then this particular form is put to use. It basically consists of all the details of all the parties individually and separately. When you are looking to take a mortgage loan from a bank while buying your dream home, you have to use the mortgage loan application form of that specific bank. As the name suggests, a commercial mortgage application form is for a mortgage loan that is secured by some commercial property like shopping center, office building, apartment complex or warehouse. 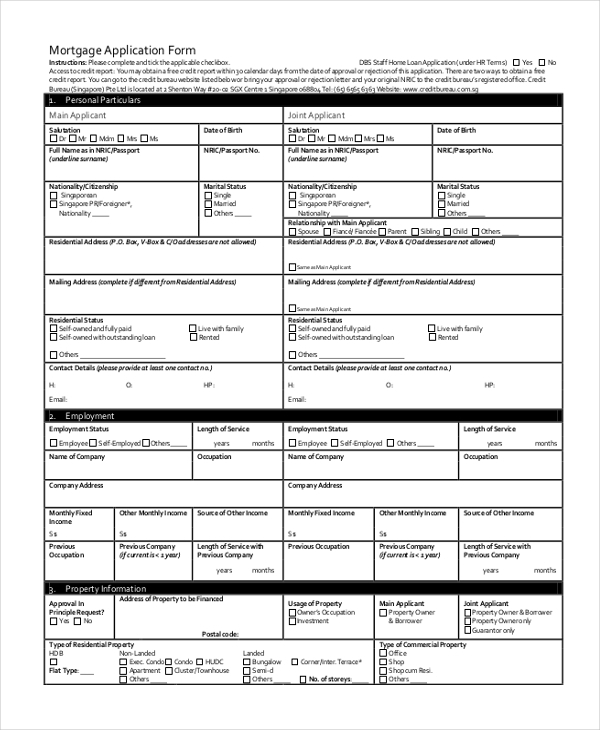 When a person requires putting his home on mortgage then this form is used. The person needs to approach the bank, collect the form from the concerned person and fill it up and submit it with relevant documents. SWBC Mortgage is an Equal Housing Lender which lends one money against a property or anything that has a value for money. Once can refinance his existing loan over here. All he needs to do is to fill up the company assigned mortgage application form. When a person is looking to apply for mortgage loan while buying a new home, he has to process his loan application to the lender through a mortgage application form. 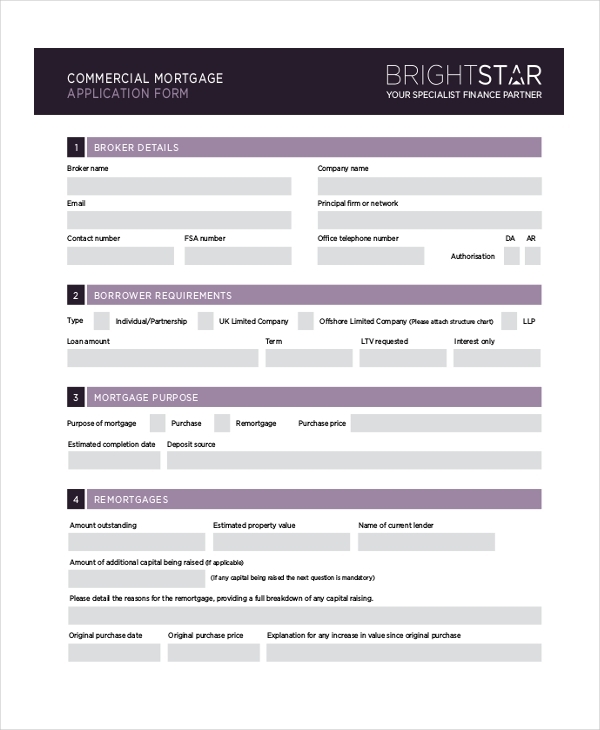 What Does a Mortgage Application Form Comprise of? 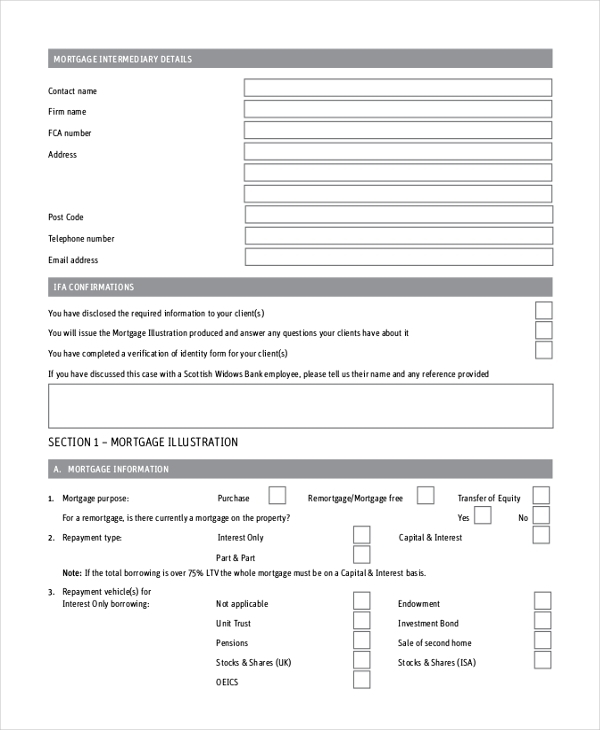 A mortgage application form comprises of sections where the applicant needs to fill in with his financial data, such as – his net worth in the market, basic employment and annual income details. You are also required to mention the Social Security Numbers, your current address, and other information that will act as a proof of the applicant’s identity and credit history. All the papers need to be verified and examined before the final submission. Moreover, the application form will contain the details of the property you are about to buy, address, the year the house was built and its present market price. 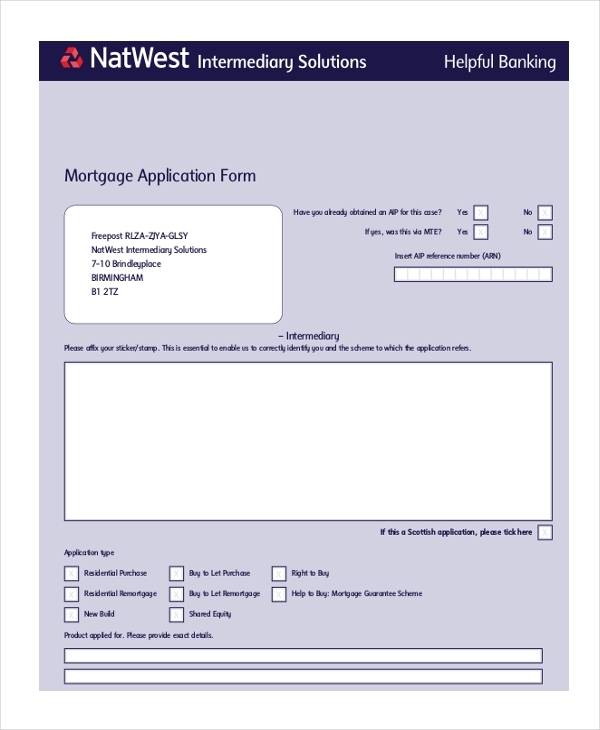 How to Fill Up The Mortgage Application Form? What All Documents Need to be Submitted along with the Mortgage Application Form? A mortgage application form is indispensable when you are about to apply for mortgage loan whether you are about to buy a residential or commercial property. The mortgage application could be made either from a bank offering the loan or specific mortgage lenders. 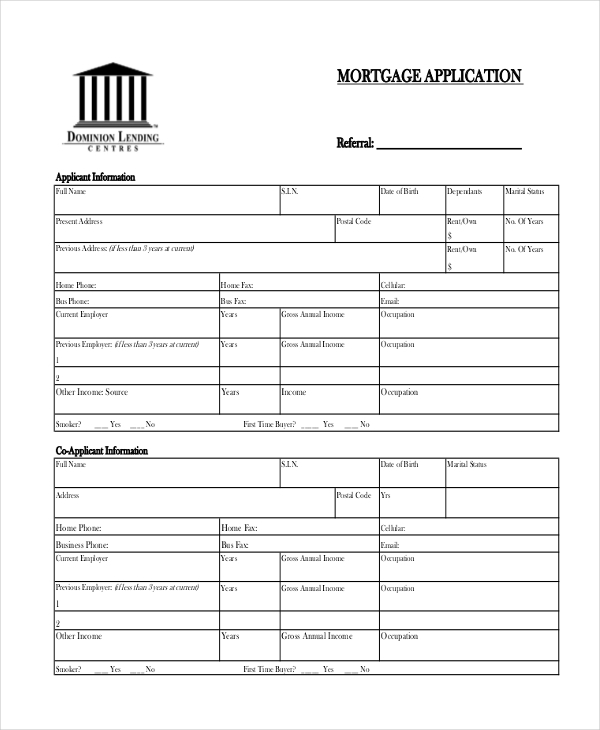 There are readymade customizable mortgage application form templates for your convenience.